Picked this up from an old magician’s estate. 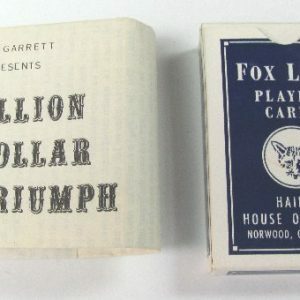 It comes with Holden’s original instructions and packaging envelope along with the required bridge size cards. 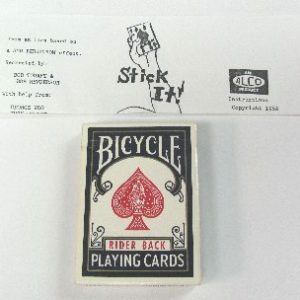 A fantastic mystery in close-up card magic! EFFECT: Spectator is given the choice of any card from a borrowed deck. 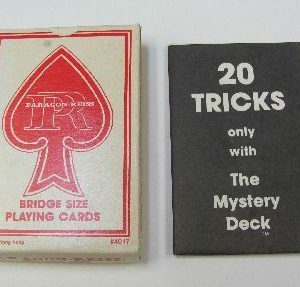 Magician then introduces four cards, blank on all sides, which he places on the table side by side. Next, taking the spectator’s chosen card, which he has not seen until this time, the magician places it under any blank card the spectator chooses. 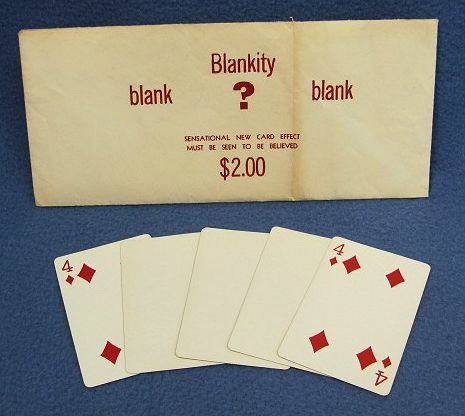 The blank card is turned over. It’s hidden side has now become a duplicate of the chosen card! Now, the spectator is instructed to take his chosen card and rub it between the newly “printed” card and the table top. On turning over the duplicate again it is now seen to have a regular printed back! All cards are immediately given to the spectator for examination.